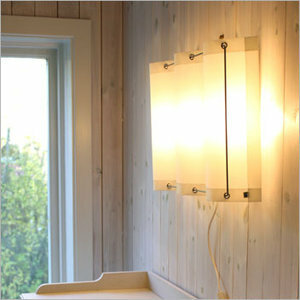 Kattegat is a wall lamp that billow in three waves along the wall. 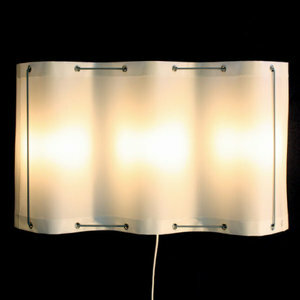 The screen of dacron is suspended with eyelets on a metal rod. Behind the screen there is a steel frame with three lamp sockets, E14. 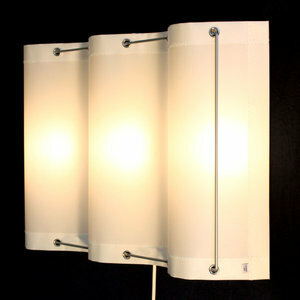 Three lights with a maximum of 40 W gives a good and pleasant light.